Moore Haven’s quiet way of life is one that offers both charm and respite from the busier and larger cities in Florida. Associates and Bruce L. Scheiner, Attorneys for the Injured, know that the area hasn’t see the kind of rapid growth that characterizes coastal cities, but our Moore Haven car accident lawyers understand that a slower way of life doesn’t necessarily mean that challenges don’t occur. When those challenges include motor vehicle accidents, Moore Haven personal injury and wrongful death attorneys at our firm are pleased to be the choice of local residents who need proven legal knowledge and skills. The county seat of Glades County, Moore Haven was originally an area frequented by Native Americans. Named for founder James A. Moore in 1915, the city’s location on the Caloosahatchee River afforded it accessibility to settlers and for trade. Development that continued into the 1920s was impeded by a devastating fire and, later, a hurricane. Sugar cane production was the area’s chief industry. Commercial development in Moore Haven has been slow, and the city’s population remains at about 1,600. Efforts to encourage business growth continue, and Moore Haven’s focus on its historic downtown has been aided by that area’s Main Street designation. Florida’s superb climate and scenery make road trips especially enjoyable for motorcyclists. But even the open country around Moore Haven isn’t without its dangers. Moore Haven motorcycle accident lawyers in our firm know that motorcycle crashes injure more than 7,000 people yearly in Florida. Although most of those accidents don’t happen in our county, we stand ready to represent injury victims when they do. Mr. Scheiner’s own interest in motorcycles and in promoting motorcycle safety has added significantly to our firm’s experience in handling crash cases and to our knowledge in the concerns and circumstances unique to motorcyclists. At Associates and Bruce L. Scheiner, Attorneys for the Injured, we know that motor vehicle accidents leave almost 200,000 people injured yearly in Florida. We also know that more than 2,500 individuals lose their lives on Florida roads in a year’s time. Figures from Florida’s Department of Highway Safety and Motor Vehicles confirm that more than 20,000 of the accidents that occur involve alcohol. Moore Haven drunk-driving accident lawyers at our firm have been active in their support for law enforcement and community initiatives to get drunk drivers off Glades County and Florida roads. We have seen the serious injuries that drunk drivers cause some 14,000 people in our state yearly, and we have represented many families who had to endure the loss of a loved one in a drunk-driving crash. We are adamant that impaired driving is unacceptable, and we are tireless in our work to win compensation for drunk-driving victims. When you or someone you care about is hurt, you want the assurance that comes from knowing you’ve chosen the best legal professional to handle your case. 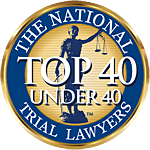 Associates and Bruce L. Scheiner, Attorneys for the Injured, is experienced in representing individuals injured by the actions or negligence of others. Contact our Moore Haven personal injury and wrongful death lawyers today for a free evaluation of your case. You pay us nothing unless we win for you.